If you want to have your floors treated in a professional and excellent way, choose the outstanding services of our dedicated and reliable company that is available for all the residents in London. No matter of the flooring service that is required, we promise to be at your disposal and to apply all the procedures that are required. We co operate with a team of workers who are experienced and who are always punctual in their appointments. To ensure the best look of your floors, just contact us and we will immediately send our team that will provide perfection in every detail. From Monday to Sunday, we will be at your disposal to come and to inspect the condition of your floors and to choose the best and most modern methods of working. Don’t hesitate to contact with us at 020 3745 5192! Our amazing offers and reasonable prices are awaiting for you. Floor Fitting Service and Floor Repair Service Call for a free quote! Our team of qualified workers will provide each procedure with attention to detail and in a completely professional manner. Whether you need floor fitting or sanding of your wooden floors, we are ready to provide all this for you, in a fast and excellent way. In addition to this we can also ensure removing of the scratches from your floors with the help of modern and reliable machines and tools. No matter of the condition of the floors, we will fix them and we will restore their nice and fresh look. 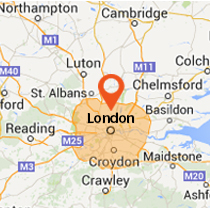 Do not hesitate to contact us in London and to make a suitable appointment with our honest and friendly staff. 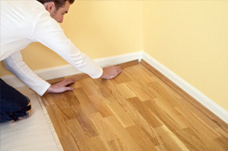 We will respond adequately to your requirements and we will offer you impeccable floor services. You can benefit from our outstanding offers and very reasonable prices for all of the procedures, included in our flooring services. 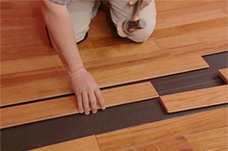 We are motivated and we apply the flooring services in a careful manner. For any additional information that you may require, use our customer support centres that can also offer you perfect working schedules – 7 days per week. Copyright © 2014-2019 Universal Flooring. All Rights Reserved.